Royal Caribbean's new approach to luxury cruising will debut in May 2016 in the form of Royal Suite Class, and if you are interested in what this new level of luxury offers, here is what you need to know. Royal Suite Class will not be onboard ships in China. 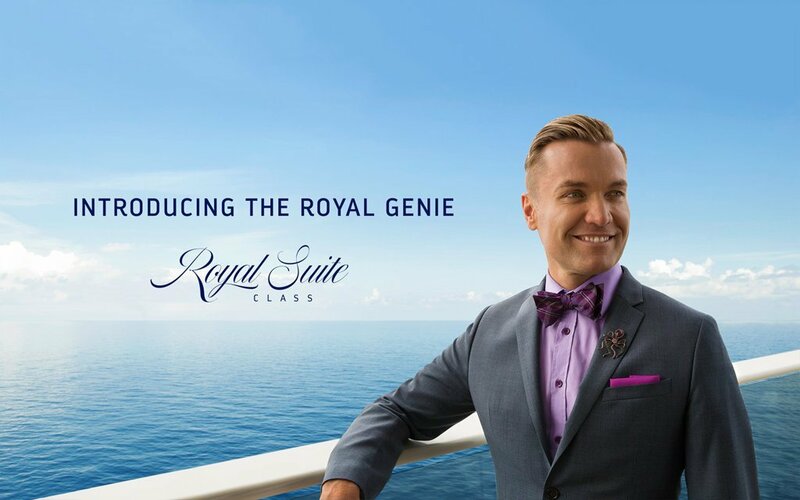 Royal Genie is available for all suites within the Star Class tier. Guests are unable to select a specific Royal Genie. The Royal Genie can be reached 24/7 and will advise the best way for guests to stay in touch. The Royal Genie Service is not a service that can be purchased. It is an amenity exclusive to all Star Class guests. The Royal Genie will make all shore excursion plans for the guest. While guests are enjoying their time in port, they will be prepping for the guest’s arrival. What happens after booking the Royal Suite Class? For all guests booked on a Star Class Suite, they will receive a welcome email 8 days after booking and a final reminder 7 days prior to sailing. For all guests booked on Sky and Sea Class, they will receive a welcome email 8 days after booking and a final reminder 7 days prior to sailing. Every guest is encouraged to pre-book their activities through Cruise Planner as soon as they have been booked. For all Star Class guests, the Royal Genie will take care of any reservations onboard the ship. Guests will be able to reserve dining, shore excursions and other activities 90 days prior to their sail date. For all Star Class guests, the Royal Genie will take care of any reservations onboard the ship. Can a guest host a dinner party in their suite? Guests are welcome to plan any sort of event in their suite. The Royal Genie and Concierge can help arrange such experiences onboard but additional charges may be incurred, depending on the request. Can a guest invite their friends to specialty dining under their reservation? Complimentary specialty dining is only available for the guests within the suite. Guests are encouraged to dine with family, friends or whomever they’d like but please know that guests not sailing in the suite will need to pay the cover charge. Star Class Guests receive complimentary specialty dining throughout their entire cruise as well as access to the exclusive suite restaurant, Coastal Kitchen for breakfast, lunch and dinner. Sky Class Guests receive access to the exclusive suite restaurant, Coastal Kitchen for breakfast, lunch and dinner.